Ina Mae Kane, age 94, died Friday, February 8, 2019 at Parkview Hospital, Fort Wayne. Mrs. Kane was born in Jellico, Tennessee on May 17, 1924 to Josiah and Hairetty Ellen (Williams) Bruce. She graduated from Jellico High School in 1943 and St. Paul Bible School, St. Paul, Minnesota in 1952. She married James Joseph Kane, Sr. on October 29, 1955 in Dayton, Ohio and he preceded her in death on May 4, 1991. Ina was employed as a substitute school teacher with Tecumseh local schools, New Carlisle, Ohio before retiring in 1983. 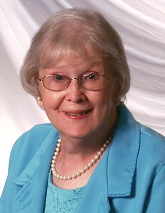 She was also a longtime member of Rona Community Missionary Church, Fairborn, Ohio. Son, Rev. James Joseph Kane, Jr. and his wife, Susan of Kendallville. Grandsons, Jonathon Kane of Los Angeles, California and Daniel Kane of Kendallville. Brother, Raymond and Pat Bruce of Dayton, Ohio. She was preceded in death by her parents; husband; sisters, Alene Neely, Kathleen Powell, and Dean Russell Bruce; and brother, Arkley Bruce. Visitation will be held Friday from 4:00 – 6:00 PM at Hite Funeral Home in Kendallville. Funeral services will be held Saturday, February 16, 2019 at 11:00 AM at Rona Community Church in Fairborn, Ohio with Rev. Dr. James Smith officiating. There will be visitation prior to the funeral service at the church from 9:30 AM – 11:00 AM. Burial will take place at Byron Cemetery, Fairborn, Ohio. In lieu of flowers, memorial donations may be made to First Church of God, Kendallville or Rona Community Church, Fairborn. Share your favorite memory or send a condolence online at hitefuneralhome.com.